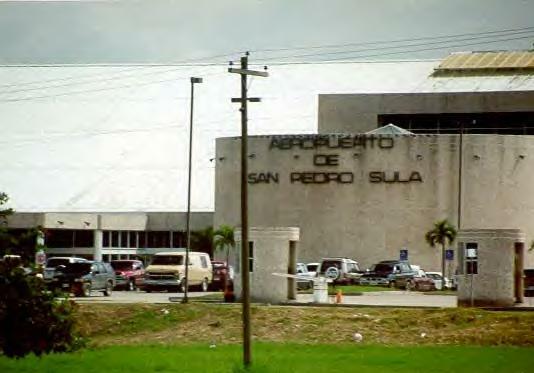 Welcome to San Pedro Sula 1:400 Airport! The rumor mills are buzzing and I hear SAHSA is coming soon. Will we be able to announce another livery from the Model Pageant? Well, we'll have to wait for Gordon for that, but let's hope so. Also, Mr. Andrew Klein has announced this month's Aeroclassics releases so you can check that out in the news section. SAHSA UPDATE!- A picture has been spotted of a SAHSA 737-200 in the old colors! Welcome to my 1:400 site! Visit the News section and check out this month's new releases and events. In the 1:400 models section, find information about all the major 1:400 scale model manufacturers including: Aeroclassics, GeminiJets, Dragon Wings, Jet-X, and miscellaneous model manufacturers. Visit My Collection and find out about my particular model interests. In the Airports section, see my 1:400 model of the Ramon Villeda Morales International Airport in San Pedro Sula, Honduras. You can aslso find pictures of other model airports and see other collector's airports. You can also find informaion about the actual Ramon Villeda International (SAP) in this section of my site. Go to links and visit my recomended sites.